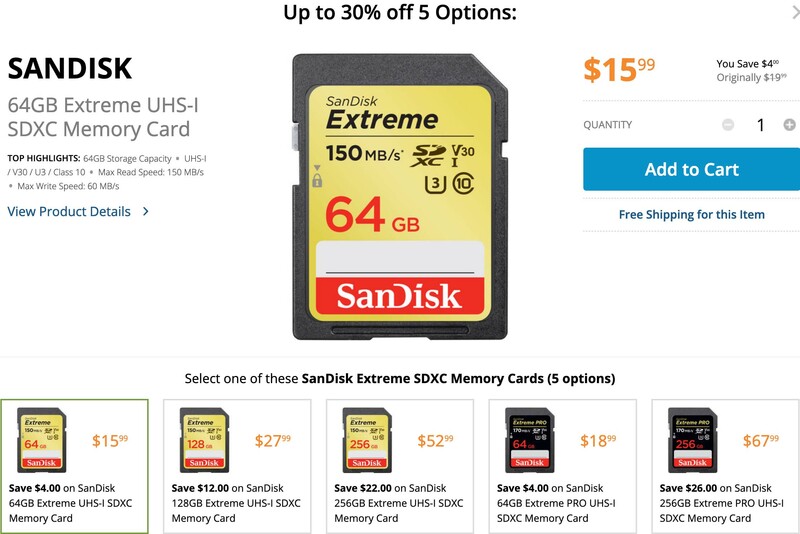 B&H Photo has Sandisk Cards in their DealZone today only. Don’t miss out if you’re in need. This entry was posted in Accessories, Deals and tagged Sandisk. Bookmark the permalink. Trackbacks are closed, but you can post a comment.